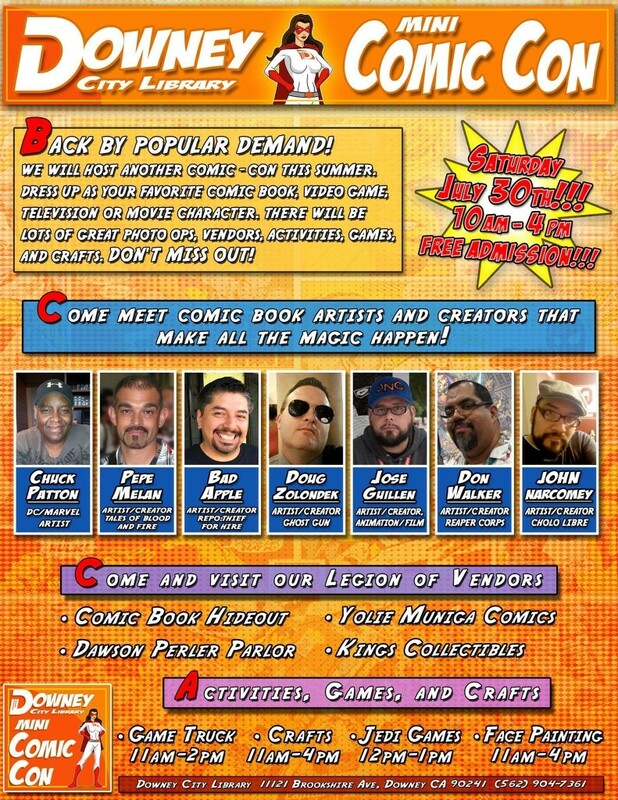 I will be at the Downey City Library Mini Comic Con on Saturday, July 30th from 10am – 4pm. Looking forward to seeing everyone next weekend. For information, check out the flyer below.